I wrote a little while ago about a CBD/Hemp oil product and did a lot of research into the benefits of CBD oil, especially how it may benefit chronic illness. There have been multiple studies over the years suggesting that CBD oil may help to reduce inflammation and ease fatigue; two things that cause me huge issues daily and so it’s something that I’ve been looking into for a while. CBD oil can be misunderstood – CBD stands for Cannabidiol, a chemical found in a part of the cannabis plant and it’s the bit that doesn’t cause a high. THC is another chemical found in the plant that is known to alter a persons mental state – it’s also the illegal part. Yes and no, is the answer to that – CBD/Hemp oil is not considered a controlled substance in the UK so is 100% legal. Always check the ingredients before you buy any CBD products, as long as the THC content is 0.2% or lower. I’d recommend doing a lot of research before you buy – CBD can be bought as oil, gummie sweets or as a liquid to vape and is available in different strengths. 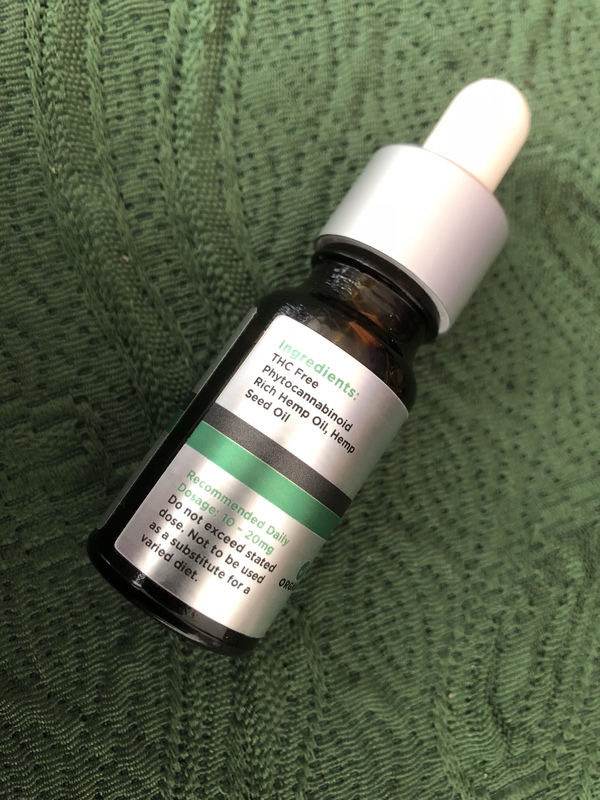 I was sent a bottle of Synerva CBD oil to try out – I opted for the oil as I wanted to be able to introduce it slowly in case of any side effects. 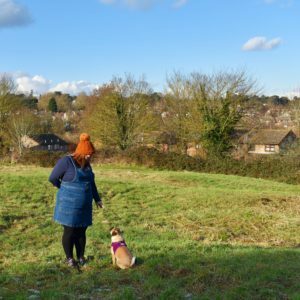 I also only had a limited opportunity to trial it as I’ve started weekly Benepali injections and my consultant advised against trying any new supplements until I’d been on my new medication for three months. This oil is a starter oil so ideal for anyone new to CBD oil. It’s zero THC(the nasty stuff, as above) and organic. It’s just THC Free Phytocannabinoid Rich Hemp Oil, Hemp Seed Oil – nothing else, nothing artificial or processed. 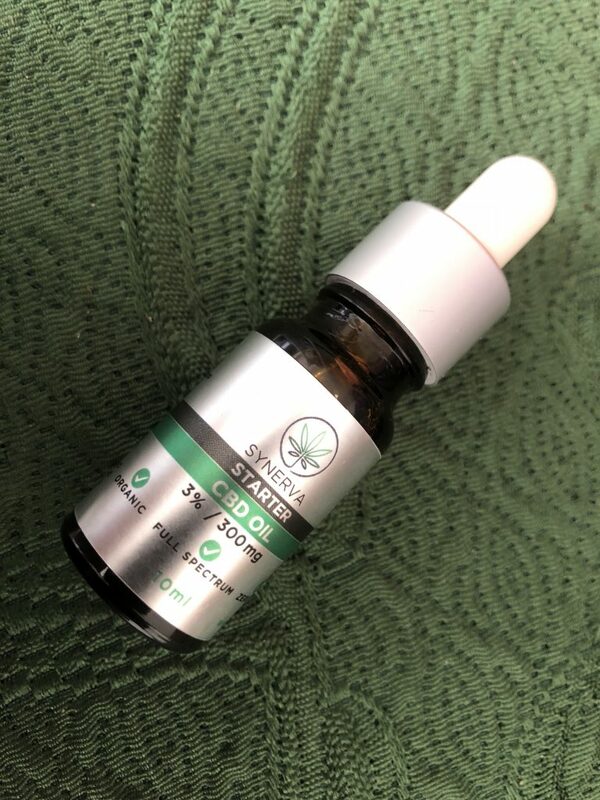 Each drop contains 1.5mg CBD Oil and a 10ml Bottle contains 200 drops; the usual dose is 10-20mg per day dropped under the tongue but you can start on 1.5mg and work your way up. It doesn’t taste amazing – I’d probably go for gummie sweets next time to make it a little more pleasant; and I did find my pain was slightly less but it’s hard to say as I didn’t give it a good shot. As a company and a product I’d definitely recommend them – the products are well made and you know exactly what you are getting – check them out here! Meet Bootie: an imaginary friend? Could cbd oil possibly help nerve inflammation and auto imunne conditions?